Businesses are being urged to improve driving standards among staff after research revealed company drivers were at fault for almost half of all accidents involving a company vehicle last year. Statistics for accident management customers of Lex Autolease, the UK's largest contract hire company, show company drivers were at fault for 49% of the 44,448 accidents recorded by the UK’s largest fleet provider in 2013. 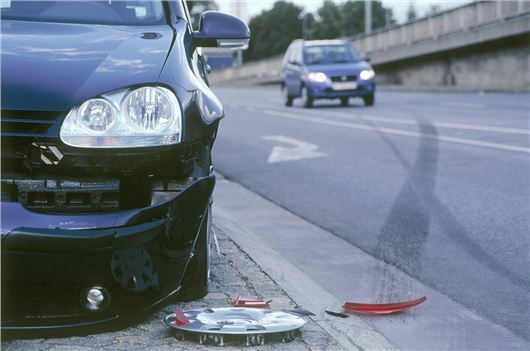 Almost a quarter of all accidents (24%) were caused by company drivers colliding with a third party. More than 3,000 drivers crashed into the back of another vehicle and in excess of 2,000 hit another vehicle while reversing. As well as the obvious safety implications, poor driving standards can have a significant impact on a company’s bottom line. Businesses paid out more than £26m in excess insurance payments as a result of these accidents. When additional costs such as repairs, replacement vehicles, third party damage and personal injury liabilities are factored in, the final accident bill is likely to be considerably higher. Richard Harper, head of accident services at Lex Autolease, said: "These figures are certainly food for thought, and it is clear that businesses need to do more to improve the driving standards of their employees. "Road safety is paramount, of course, but there are additional economic benefits to be reaped from educating drivers to act more responsibly on the roads." The figures reveal that many company drivers display a worrying lack of basic care and attention. Almost one in ten (10%) of all accidents were caused by drivers colliding with an immobile object such as a bridge, wall or fence. The cost of such collisions to businesses totalled more than £2.5m. But collisions with pedestrians and cyclists were a rare occurrence. Just 334 of the 44,448 accidents (0.7%) recorded involved a collision with these other road users. Harper added: "Compared to other hazards employees encounter in the workplace, driving is often viewed as less of a risk. "However, in many industries, driving is the single biggest risk that employees will face during the course of their working day, so it’s especially worrying that company drivers are at fault in half of the incidents we recorded. "Businesses need to have proper procedures in place to reduce accidents, particularly those caused by poor driving behaviour, and investigate why accidents occur. They should consider the impact of time or work pressures and any distractions posed by in-car technology. Lex Autolease has a fleet of 290,000 vehicles including 70,000 vans. Its accident management fleet comprises 170,000 vehicles and is the largest in the UK.